In an open compartment 3, in a compartment with drop-down doors 2 INOS box sets. Can I further drop-down doors be mounted at a later date? The installation of additional drop-down doors can be undertaken at any time and requires only a minimum of technical skills. 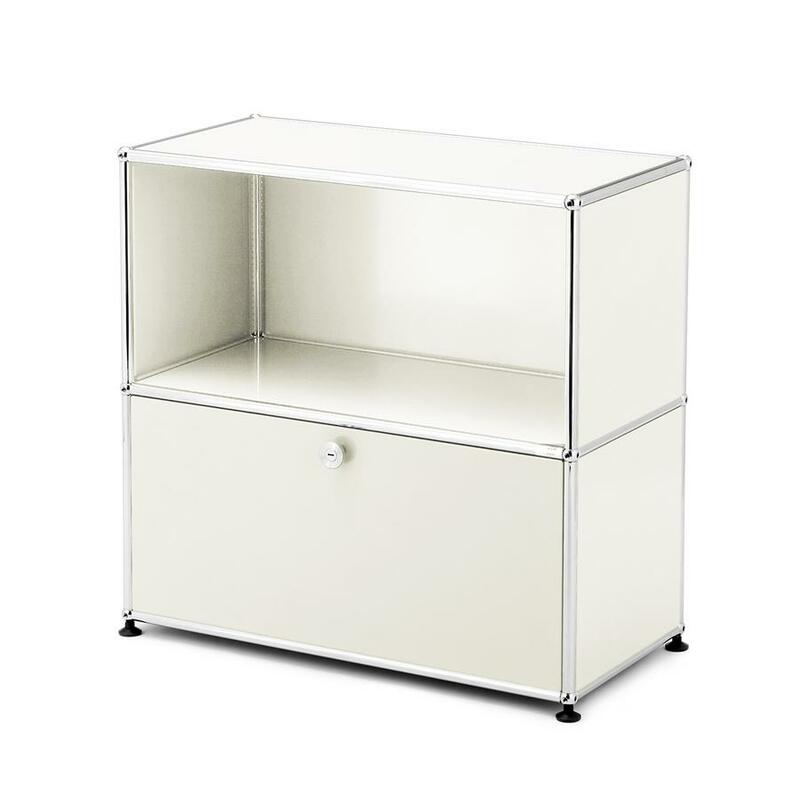 Is it possible to place the sideboard on castors? In principle yes; however, for the sake of safety and to prevent tipping the installation of a counterweight is necessary. 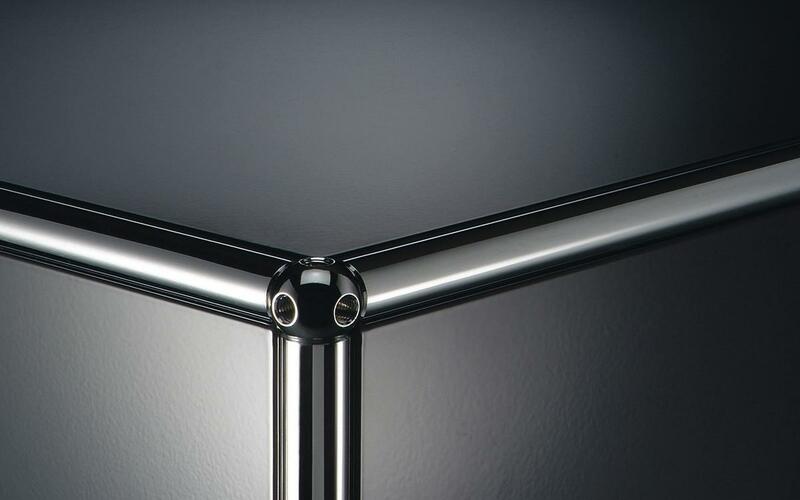 With the USM system one can develop numerous different furniture types, all starting from same three basic elements: steel tubes form the frame, chrome-plated brass balls joint and secure this skeleton before metal shelves or glass elements clad the structure. The spectrum of possibilities ranges from simple shelf construction, including the USM Haller Sideboard M with one drop-down door, over more complex storage solutions and on to mobile cabinets and the USM Haller table collection. The architect Fritz Haller originally developed the USM furniture as an interior design solution for his new USM office pavilion. That was the beginning of the 1960s. The first major contract, furnishings for the Rothschild Bank in Paris came in 1969 and marks the beginning of the series production: and so USM Haller's global success. Characteristic of the USM Haller sideboards are their modular nature, minimalist design, and their classically elegant appearance, the latter caused by the mix of different gloss surfaces and the systems clearly defined structure. 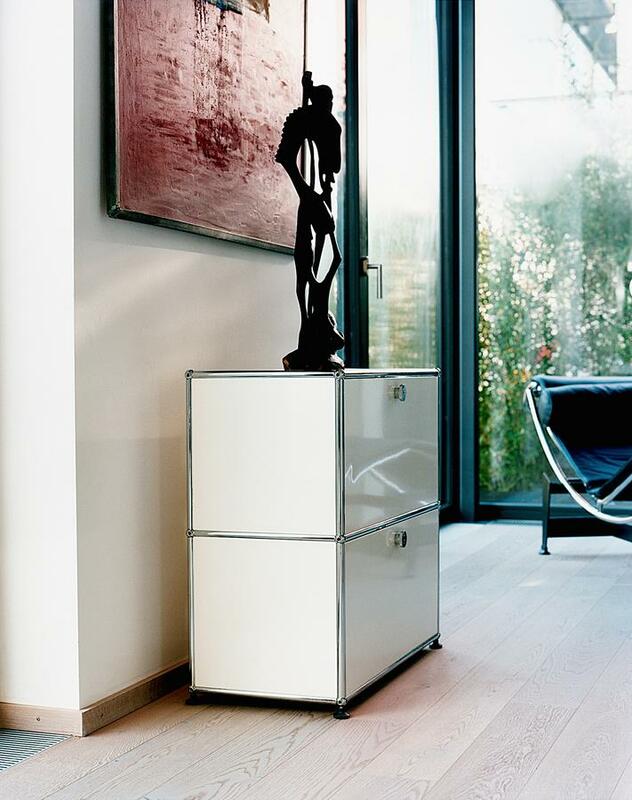 Designer of the USM furniture system is the Swiss architect Fritz Haller. Born in Solothurn, Switzerland, Fritz Haller was responsible for an impressive roster of numerous buildings, including schools, office buildings and production halls In 1961 Haller was commissioned with the construction of new production and administration building from the company USM: In addition the company's owner Paul Schärer asked if Haller could develop interior furnishings and fittings for the new construction. The result is the USM Haller furniture system. In later Fritz Haller was mainly active as a professor at the Faculty of Architecture of the University of Karlsruhe and the University of Stuttgart, receiving in addition in 1993 an honorary doctorate from the University of Dortmund. 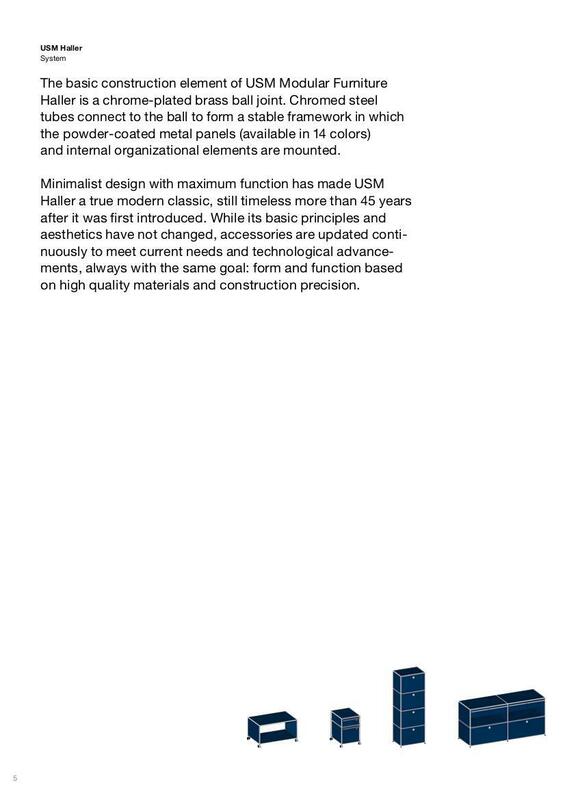 With the USM shelving system, and the way it revolutionized the office world with its unique functionality and elegance, Haller saw probably his greatest commercial success, success for which he was awarded numerous design awards and which saw his USM Haller system included in numerous prestigious museum collections Fritz Haller died on October 15th 2012 in his native Switzerland. 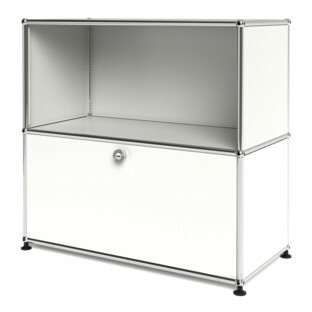 As with all USM office furniture the USM Haller Sideboard M with one drop-down doors originates at the USM production site in Münsingen, Switzerland. 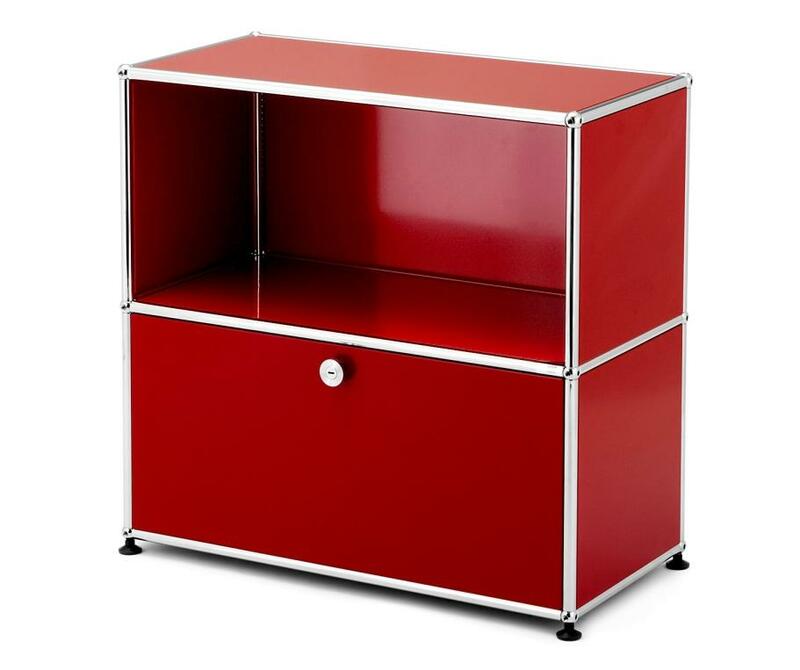 There all parts are manufactured and the metal shelves coated with a special powder coating in one of 14 standard USM colours - or for special commissions, any RAL colour. 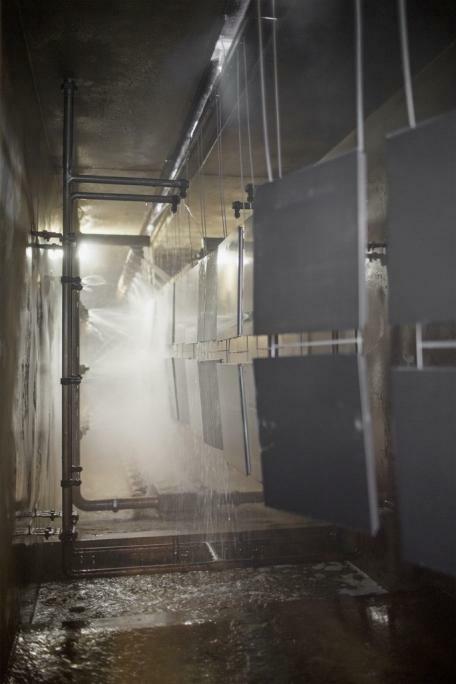 USM Haller attaches great importance to environmental sustainability in the entire production process and to this end recently opened a new powder coating facility in Münsingen, a facility which offers USM energy savings of some 30% compared to their former process. In addition the high quality of the materials used couple to the systems durability and longevity mean that, in principle, a piece of USM furniture need never be replaced. Thus saving resources and optimising the ecological sustainability. 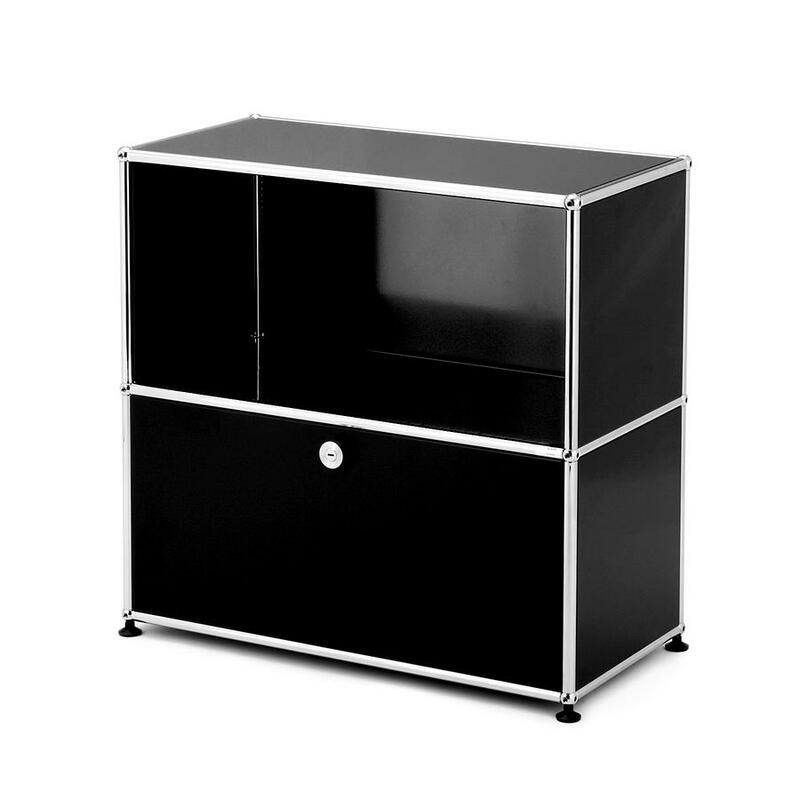 In context of design history USM sideboards belong to the period of functionalism. During this period the famous dictum "form follows function" played an important role: a dictum which highlighted and promoted the functional aspects of the design in architecture and design. The USM Haller furniture satisfies these demands in particular through its adaptable construction principle can be easily adapted according to the respective function. Form literally following function. A further important feature of post war furniture production was the ability to as produce the designs. With system USM Haller the reduction to one principle material, steel, and the limited number of basic elements makes the system ideal for quick, efficient mass production. 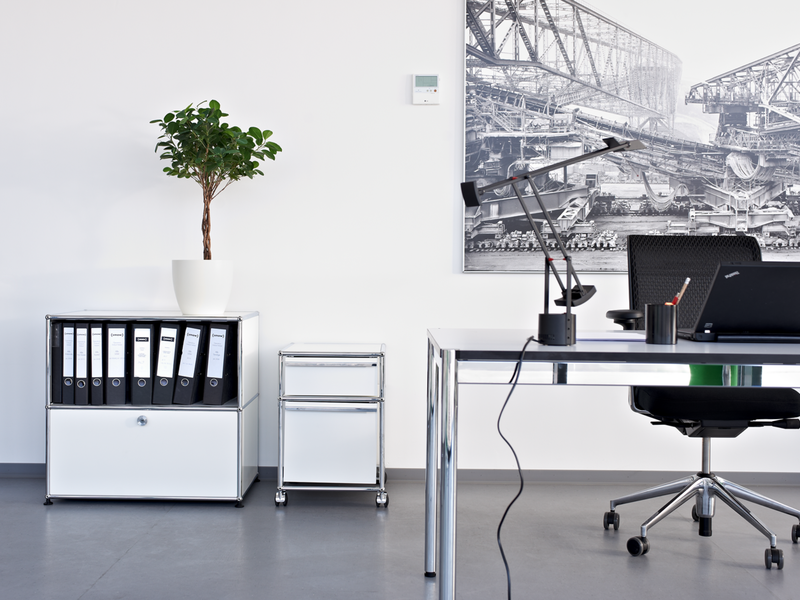 Consequently the USM Haller modular furniture system has not only developed into an important piece of office furniture, but a genuine furniture design classic. The history of USM begins in 1885 with the establishing of a hardware store and locksmith's business in Münsingen near Bern, Switzerland, by Ulrich Schärer. The route to the production of metal furniture begins, in effect, in the 1920s with the manufacturing of window fittings and continues over the post war initiation of general sheet steel fabrication. 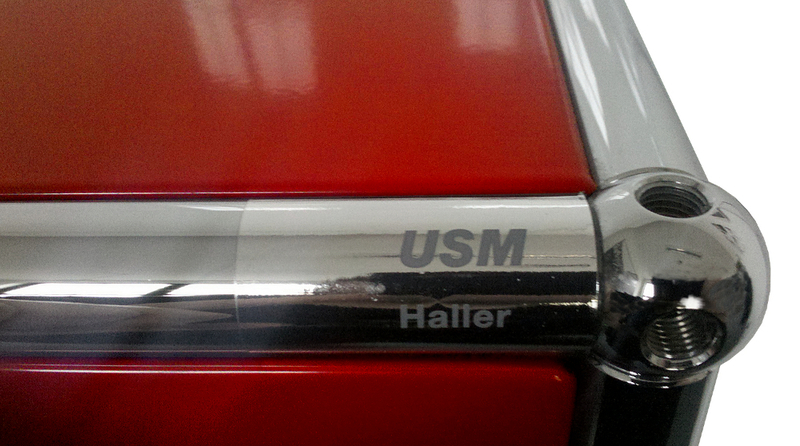 Today however USM is known alone for the USM Haller furniture system created in 1963 when Ulrich Schärer's grandson Paul Schärer commissioned architect Fritz Haller with the construction of a new office pavilion for the company, and the requisite interior furnishings. 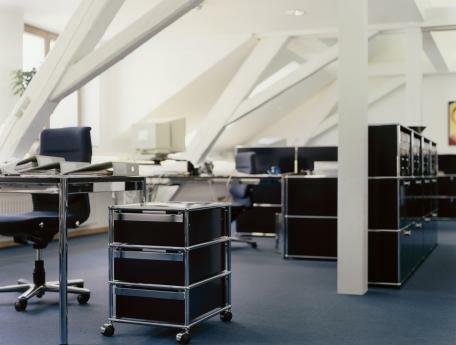 In 1969 USM furniture entered series production and in the following years quickly become the renowned office furniture we all know. And one of the genuine classics of furniture design. 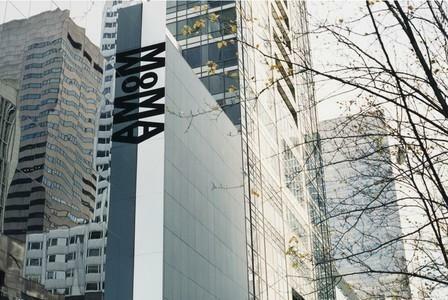 The shelving system has received numerous awards and in 2001 was included in the permanent collection of the Museum of Modern Art in New York.